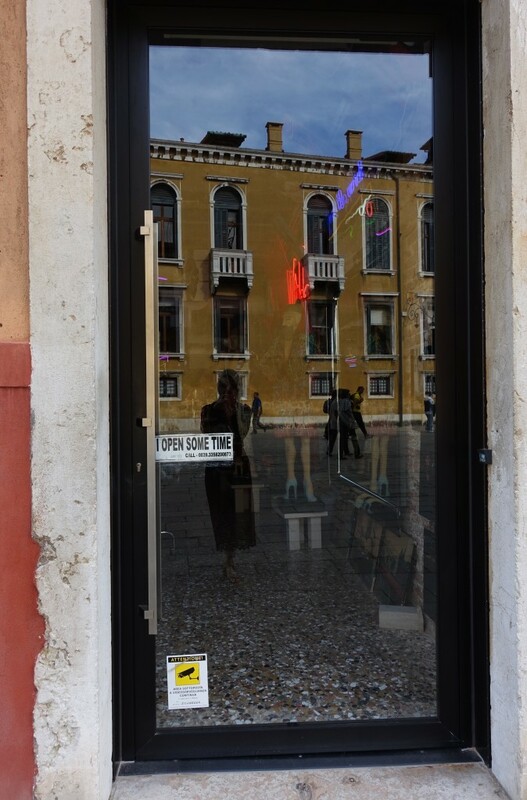 There is a boutique in Venice with a select inventory of cool graphic tees and various other edgy garments, bits, and bobs. The shop’s decor is an absolute must-see: life-sized paper dolls of popes from the past with descriptions underneath of their nefarious histories. Most times I’ve passed it, however, it’s been closed with a sign on the door: “I open some time.” This is my only souvenir.